Painting your house is a big job. If you have a lot of plants around the foundation, you will want to protect them before you begin. 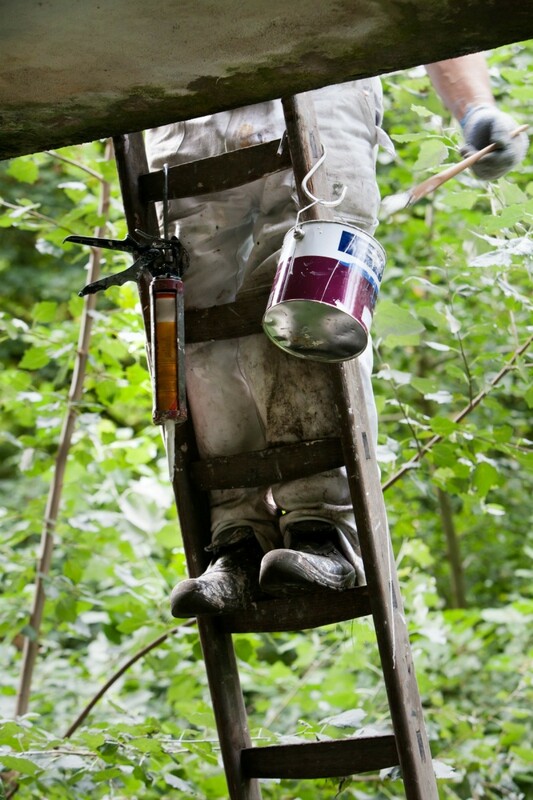 This is a guide about protecting plants when painting your home. 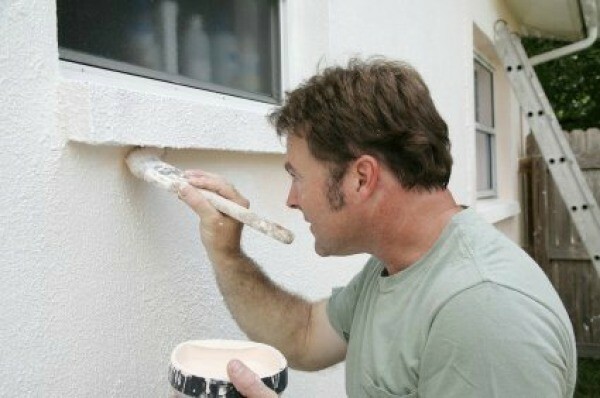 A beautifully painted exterior is a great way to increase your home's curb appeal. Unfortunately, if the landscaping around your foundation becomes destroyed in the process, your net gain can suddenly turn into a loss. As most professional house painters will tell you, good communication and a little bit of planning is all you need to keep your plants out of harm's way. Communicate your concerns. Dripping paint and trampling feet can quickly lay waste to the landscaping around your home's foundation. Most (but not all) professional house-painters have techniques and tools in place to help prevent damage to your plants. The only way you can be certain yours does, however, is to talk with them about it before hiring them. Make them aware of your concerns, and ask them what, if any steps, they will be taking to keep your plants safe. Cover them carefully. Use a lightweight drop cloth or sheet to cover your plants and shrubs. Make sure you use cloth instead of plastic. Plastic, especially black plastic, can heat up quickly and smother plants in a single afternoon. To allow for air circulation, canopies can be constructed over the plants by placing tall stakes in front of and behind them, to hold up a "roof" of sheets. For smaller plants, consider using cardboard boxes or flipping over large clay flower pots that can be removed at the end of each work day. As long as they are equipped with drainage and/or air holes, they should provide plants with enough air circulation for short periods of time. Wet down your plants. Before you cover your plants, water them as well as the ground around them. Plants covered up for long periods of time in the hot sun are susceptible to dehydration. Wet leaves and flowers also make it harder for dripping paint to stick. Don't soak the ground, however, or the soil may become too soft to support the painter's ladders and scaffolding. Create some space. If shrubs will prevent painters from accessing your home's exterior, you'll need to create some space by pulling them away from the house. One way to do this is to cover the plants with sheets or flexible plastic fencing (the kind used for snow fences) and pull the plants gently away from the house, using rope and stakes to secure them in place. Catch the chips. If you or your painters are doing a lot of scraping, you might want to catch the paint chips. You can do this by stapling or taping a canvas cloth or sheet to the side of the house and draping it over your plants like a bridal train. Empty the cloth frequently, before it becomes too heavy and spills onto the soil. Paint when plants are dormant. This isn't possible in all parts of the country, but if you live in a warm climate and have the luxury of selecting the time of year you want to have your house painted, do it when your plants are dormant. Relocate them. As a last resort, you might consider digging up a special plant and relocating it to a container until the painting job is done. Respect your neighbors. If it's windy, especially if paint is being sprayed, volunteer to cover your neighbors' flower and vegetable gardens to help protect them from drifting paint.